Home New to St. Paul? Whether you want to hang back and enjoy the view from the back row or you’re eager to jump in to activities, there are lots of friendly faces to help answer the questions you have about St. Paul Church! How many worship services do you offer? What are their times? We offer three worship services on Sunday mornings. KOINONIA, a contemporary service, is held in the Gym at 9:00am. I have children? Is there something for them? Childcare is available for infants through four-year-olds during all Sunday morning worship services. 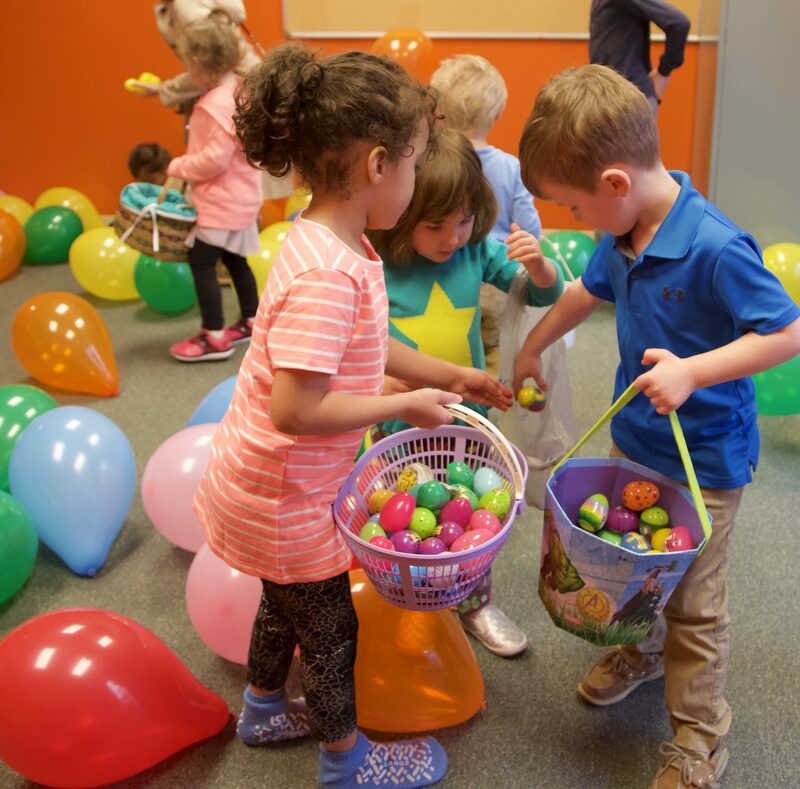 Childcare rooms are located on the second floor, in between the Gym and the Sanctuary. Children’s church is offered for children during the 9:00am KOINONIA service and the 11:00am Traditional Service. Children’s church rooms are located on the third floor. Tweens is a group for 5th and 6th graders and meets on the 2nd and 4th Sundays of each month. All of our awesome volunteers are led by our Director of Children and Family Ministries, Amy Bishop, and have been background checked and Safe Sanctuary trained. At St. Paul, kids will hear a Biblical message on their level, sing, dance, create crafts and play fun games. What do people wear at St. Paul? You’ll see people in suits. You’ll see people in jeans. You’ll see people in everything between. The most important thing is that your comfortable when you’re here. Also serving on staff is Cody Nygard, Director of Discipleship and Connection. If you have questions for Pastor Darren, Cody or any member of staff don’t hesitate to reach out and email them or say hello next time you’re here on Sunday. They would love to get to know you! How can I meet more of the St. Paul members? There are several ways to get to know more people at St. Paul. Join us for coffee and doughnuts every Sunday morning in the Common Cup (on the first floor, underneath the Gym). Also on Sunday mornings, a variety of classes are offered. There are classes for children through adults. Children and youth classes are divided by age. Adult classes are divided into many different interest groups. All Sunday classes meet at 10:00am. During the school year, we host Wesley Nights, Wednesday night dinners and social activities for all ages. Dinner is served at 6:00pm. Children’s choirs, children’s activities, and youth group is offered throughout the evening. Adult classes begin at 7:00pm. Additionally, small groups meet throughout the year. And everyone is always welcome at all of the various events St. Paul offers throughout the year. A small parking lot is located off our Douglass Boulevard entrance. This parking lost is closest to entrance doors and where the largest amount of handicap and families with small children parking is located. If you enter through this parking lot and don’t see a spot, continue through the overpass and turn left. We have several large parking lots in this alley that is connected to the church’s property. All of this parking is available to our guests. What music programs are available? 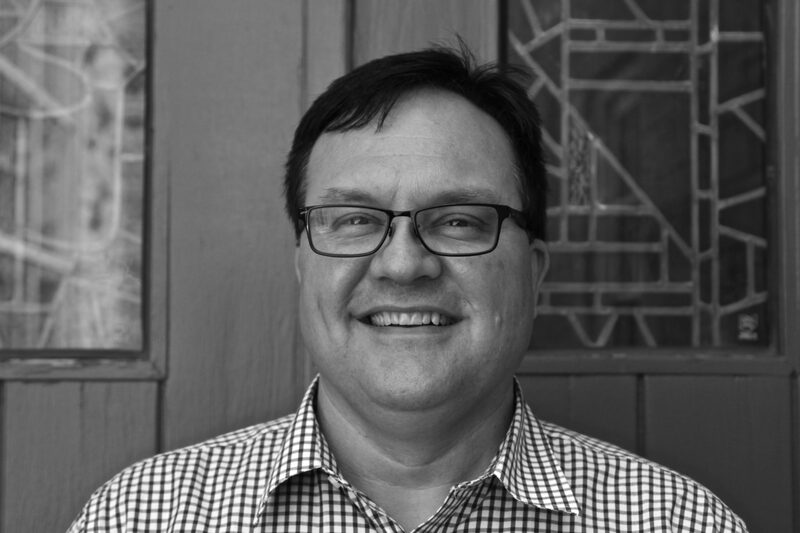 Our adult music program is led by Director of Music Ministries, Dr. Jim McFarland. 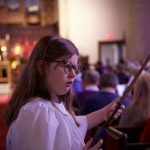 He leads the Chancel Choir, Handbell Ensemble, and St. Paul Orchestra. Karla Temple, Assistant Minister of Music Ministries leads multiple choirs in order to teach and support our young musicians. Karla offers a music class for age 3-Kindergarten, and grade-specific choirs for grades 1-12. 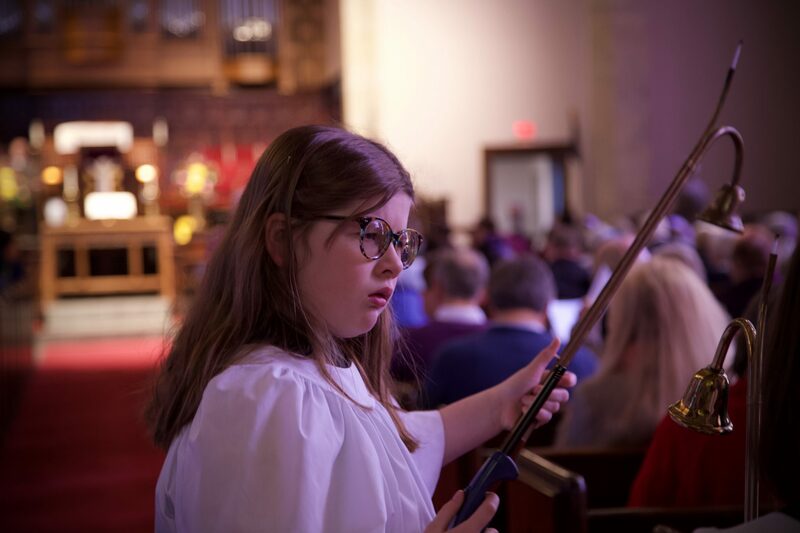 All of our music ensembles perform in worship and in concerts throughout the year. If you’d like to know more about music opportunities, email any one of our directors. What programs are available for youth? St. Paul has a dynamic and growing and Youth Group (7th through 12th grades), coordinated by Hannah Burnett, Director of Youth Ministry, During the school year, this group meets from 6:00-8:00pm on Sundays and 7:00-8:00pm on Wednesdays (after Wesley Night dinner). During the summer, the youth go on mission trips, attend Camp Loucon, and participate in events at St. Paul. What kind of Christian education does St. Paul offer? St. Paul offers a diverse and multifaceted program for its members and visitors, young and old. Sunday School morning classes for adults, youth, and children are offered year-round at 10:00am. Additionally, there are seasonal classes offered year-round. Our Director of Discipleship and Connection, Cody Nygard, plans and coordinates classes for adults. If you have any questions, just email him at cody@stpaulchurchky.org. He’d love to talk about upcoming classes at St. Paul. There are also a number of spiritual formation classes and events that occur throughout the year. Guided Meditation meets three times a week. Cullen Hornaday, Director of Spiritual Formation, coordinates additional spiritual formation events. How do I find out more about joining this congregation? New member classes are held quarterly through the year. During this time our pastors will provide you with information about St. Paul. St. Paul has a number of leadership teams that focus on various interests. Check out all the teams available and find the one right for you. If you’re ready to make the next step and get connected with a team at St. Paul, then hit sign up. Let us know your interests, and we’ll get you connected! Email Cody Nygard, Director of Discipleship and Connection, at cody@stpaulchurchky.org. No matter which service you attend, we look forward to worshiping with you and hope that you will experience God’s presence! Exploring St. Paul is a class for those interested in learning more about St. Paul. Class is led by Rev. Darren Brandon. Contact the office at 502-459-1595 or Rev. Darren Brandon at darren@stpaulchurchky.org.